Firebrand pro-talk ULFA leader Jiten Dutta on Friday condemned BJP’s Hojai legislator Shiladitya Dev’s controversial statement, who had warned popular singer and youth icon Zubeen Garg not to provoke people against the Citizenship (Amendment) Bill, 2016 during his Bihu shows. 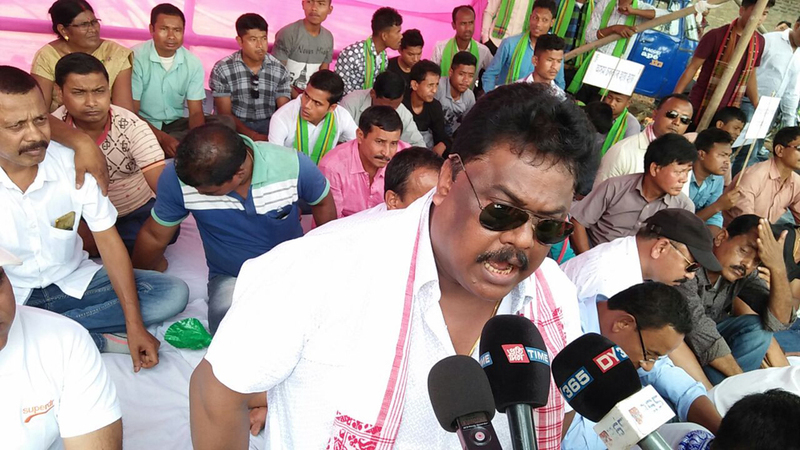 Dutta urged the Assam Government to reign in the Hojai MLA and dissuade him from making controversial and inflammatory statements. The Hojai MLA had warned popular singer Zubeen Garg not to take advantage of Bihu shows to provoke people against the Bill on May 17 last. Zubeen had appealed to the people to come out collectively in protest against the BJP-led Central Government’s move to implement the Citizenship (Amendment) Bill 2016 during a Bihu show in Assam’s Majuli on Wednesday night.